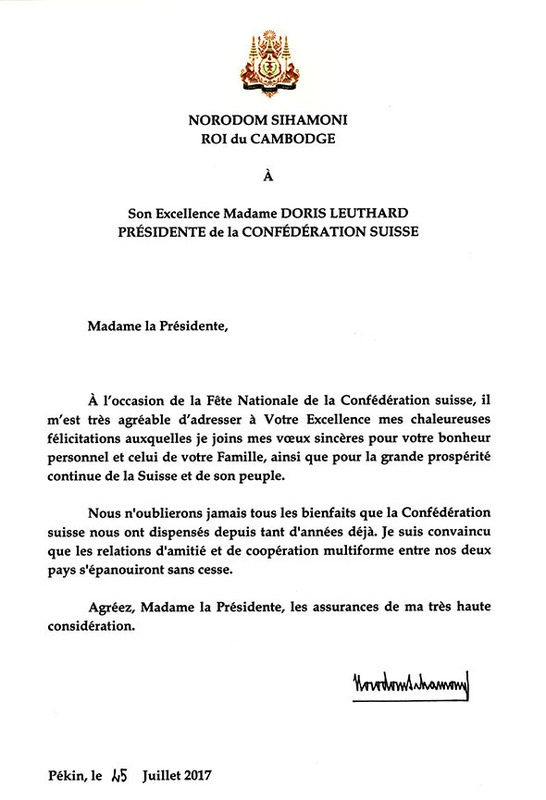 Letter to H. E. Mrs. DORIS LEUTHARD , President of the Swiss Confederation. Letter to H.M. MOHAMMED VI King of Morocco. Letter to H.E. Mr. PEDRO PABLO KUCZYNSKI. G, President of the Republic of PERU. Letter to His Majesty PHILIPPE the King of Belgium. Letter to H.E. Mr. KHALTMAAGIIN BATTULGA, President of MONGOLIA. Letter to H.E.Mr. FUAD MASUM , President of the Republic of IRAQ. Letter to H. E. Mr. ARTHUR PETER MUTHARIKA President of the Republic of Malawi. Letter to H.E. Mr. DONALD JOHN TRUMP, President of the United States of America.